Thierry Henry did not hesitate to criticize the career choice of Neymar made last summer, the latter having left Barcelona for PSG. And this, without making any mysteries. Taking advantage of the meeting of Barcelona in London , Henry looked at the course of the Brazilian and what happened on a summer transfer window of madness. 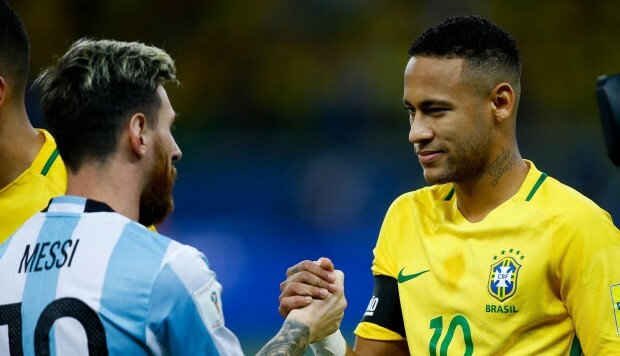 “I do not know if Neymar left Barcelona to stay out of Messi’s shadow, what I know is that all the players are in the shadow of Messi, and if Neymar does not want to stay in the shadow of Messi, he must change his sport, “thundered the Frenchman. Henry is well acquainted with the Argentinean, whose qualities he has praised many times. At his side, Henry had a great yearin Barcleone with titles. This criticism comes after many polemics about Neymar this year, proving once again that the Brazilian has as many supporters as critics .